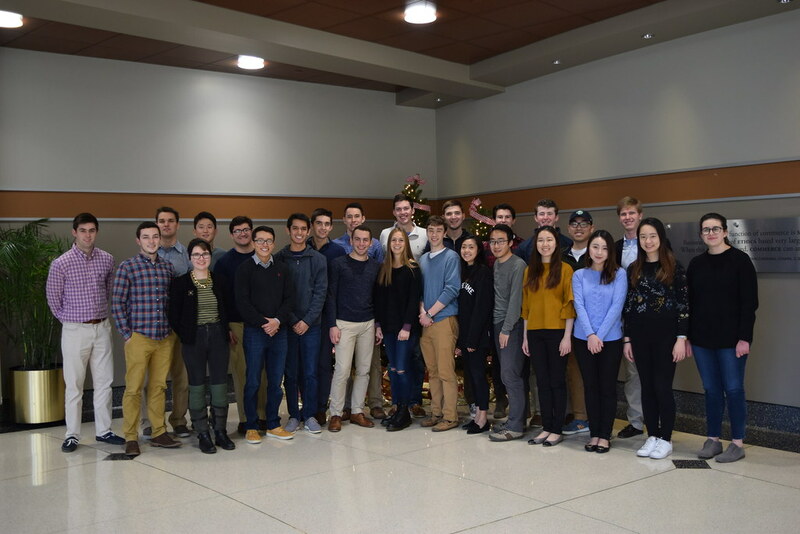 On Dec. 2, teams of Notre Dame students participated in an internal competition to prepare and select a team to send to the regionals stage of the Venture Capital Investment Competition (VCIC) held at Michigan State on Feb. 24. The VCIC boasts 75 participating universities and 1,500 student participants worldwide, giving teams the opportunity to learn from each other as well as meet venture capital professionals. At Notre Dame’s internal competition, teams of five students collaborated in an interactive simulation of the venture capital process in which they acted as the venture capitalists. Entrepreneurs from actual startups came to pitch their ideas to the students, and judges assessed the proposals students delivered at the end of the competition. Prior to hearing the pitches from the startups, the teams did research on the firms to learn as much as possible about what they would present. Following the startup pitches to the large group, the teams rotated through 14-minute one-on-one sessions with the representatives of each startup. In these smaller sessions, students had the opportunity to ask the entrepreneurs questions about their product and business plan in order to decide in which startup they would choose to invest. At the end of the session, judges then asked the students a series of questions about their approach for 2 minutes. During a working lunch, the teams made an investment decision and submitted written deliverables, preparing for partner meetings in which they joined judges in the boardroom to pitch their final deals. Judges received copies of the written deliverables and teams were given 15 minutes to explain their investment plan and reasoning. The judges then chose a team of students to represent Notre Dame during the regional competition at Michigan State in February. At the competition at Michigan State, participants will have the chance to network with the venture capitalists present and ask the judges about their investment strategies. The Notre Dame team will aim to advance from the regional competition to compete in Nationals in Chapel Hill, N.C. in April.